March is National Women’s History Month. To coincide with the centenary of the Nobel Prizes, it seems an ideal time to look at the achievements of Marie Curie (1897-1934). 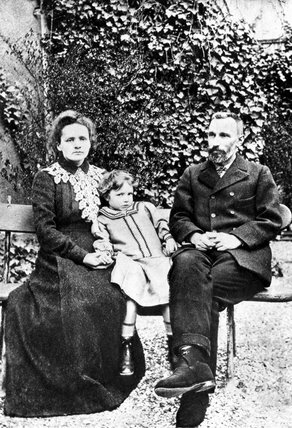 Marie Curie was the first scientist to win two Nobel Prizes – one in 1903 with her husband Pierre and the another in 1911 for Chemistry for her work on radioactivity. Like many of the objects Marie Curie used in her work, this flask has slight traces of radioactivity and needs to be stored and handled carefully. 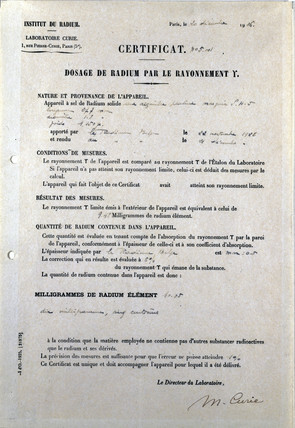 This certificate specifies radium content signed by Marie Curie in her role as director of the Institute de Radium. 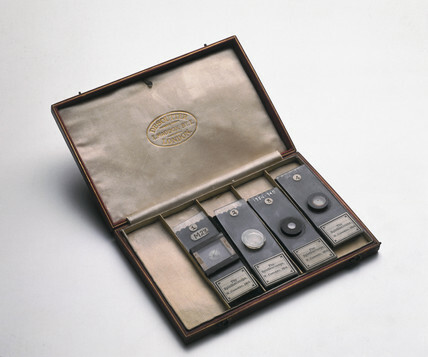 Radium became used for cancer treatments and you can read about the ‘radium bomb’ courtesy of my colleague Katie. 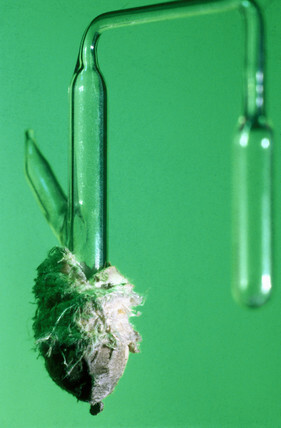 Marie Curie also provided radioactive samples to other researchers including Sir William Crookes. 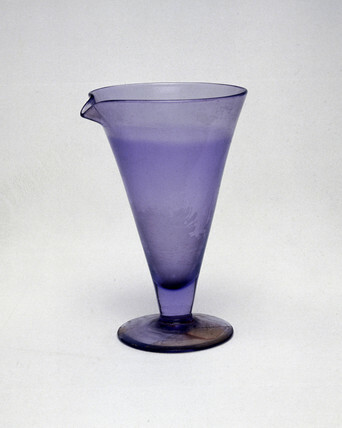 Crookes invented a device for visualising radium and its decay – a spinthariscope using the radium Marie Curie provided. And it didn’t end there. Marie Curie’s daughter Iréne Joliot-Curie (1897-1956) followed in her mother’s footsteps. Iréne worked with her husband Frédéric Joliot (1900-1958) on producing artificial radioactivity. The second generation husband and wife team won a Nobel Prize for Chemistry in 1935 for their discovery. Just in time for International Women’s Day. Those are some great objects.